Our World-Underwater is the oldest dive and travel show in North America, featuring hundreds of booths and thousands of divers. The weekend is loaded with educational workshops and the nights full of films. Find Your Next Vacation, Attend Informative Seminars, Experience Hands-On Adventure Activities, Win Prizes! Show Specials! Booth Giveaways! 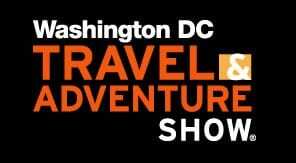 America’s largest consumer scuba and dive travel show, Beneath the Sea features seminars, workshops, and exhibits and demonstrations by hundreds of manufacturers, dive clubs, dive shops, and resorts. DEMA Show is the only international trade-only event for the diving, action water sports and travel industries. Plan your Visit now to check out the latest products and accessories!